By 1946, we had taken over the entire building transforming the space into a vast shirt manufacturing facility, becoming a key player in the men’s shirt market. Having identified that the majority of men returning from the war had become accustomed to wearing loose-collar shirts rather than a stiff collar which would begin to look worn, Isaak Donner introduced a patent that his family had developed prior to the war, changing the shirt industry forever. The patented shirts were designed in a way that the collars could be easily removed by pulling on a tab sewn into the collar attaching seam. Each shirt came supplied with a complimentary replacement collar which could easily be sewn into the place of the removed collar. 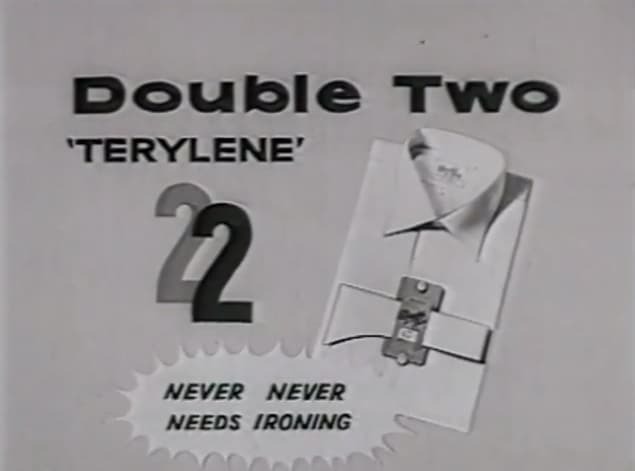 The new product was an instant success and as the shirts had two collars and in some cases two sets of cuffs, the shirts were called Double TWO shirts. The innovation became so successful that the company came to be known by the name of the shirts! 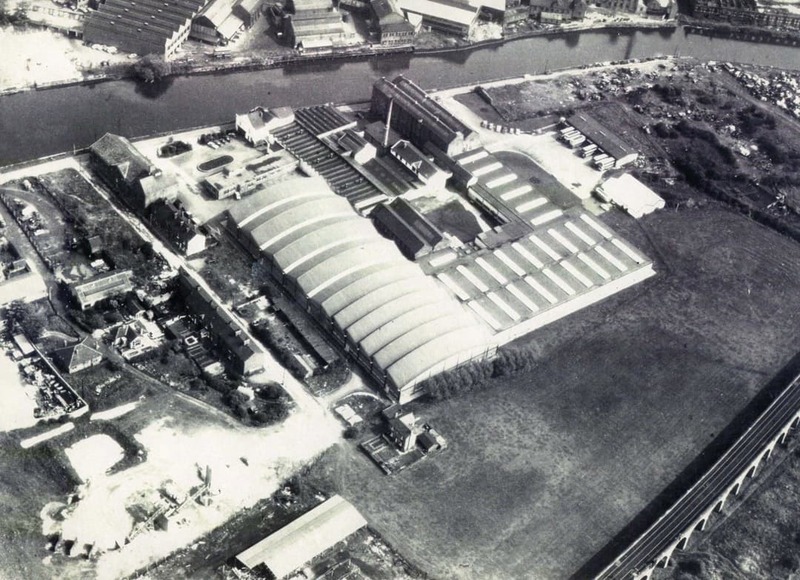 Following the successful introduction of the man-made fibre shirt and with all other products selling well, we desperately needed to expand our production facilities in order to meet demand, and in 1952 we bought a staggering 8 acre site to the south of Wakefield which would be Double TWO’s new home. The new, big, open plan production area enabled us to bring specialist consultants from America to install the latest production systems, modern machinery and the most efficient piecework systems enabling the workers to earn more than double their previous earnings by being able to produce more garments. A rigorous quality control system was implemented to ensure that the vast increase in production quantity did not result in an inferior quality product. 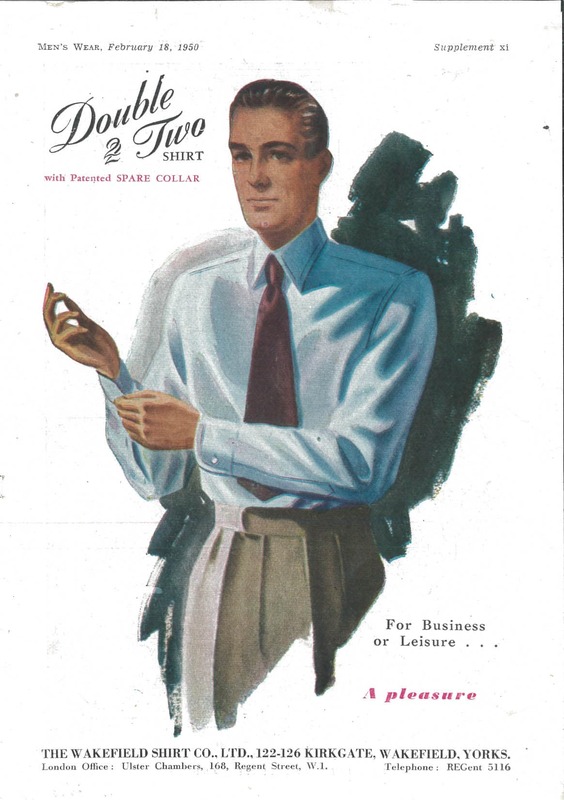 By now Double TWO had expanded from the original Isaak Donner and Frank Myers to employing over 500 people and producing 800,000 shirts per year. In the late 1950’s, we introduced the world’s first ever blends of natural and man-made fibres, adding strength as well as shrinkage and pilling resistance to our cotton/wool blend, known as Frend. In a time when central heating was considered very middle class, warm shirts were a very large part of the clothing market. In 1963 Isaak Donner’s son, Richard, joined the business. Shortly after Richard joined, we launched a new product called White Light. It was a cotton shirt, with a percentage of polyester blended into the fabric for the collars and cuffs to give them extra strength. The fabric was treated with a special resin to give it superb non-iron properties and after just in six months White Light had become the brand leader. It is said that the resin made the shirts so bright that machinists wore sunglasses to work on them! As the years moved on and fashions evolved, the demand for colourful and patterned shirts grew. We developed whole shirts made of a blend of polyester and cotton with extra hard wearing properties, enabling us to finally retire the complimentary collar proposition from our range. People’s tastes continued to evolve and by the 1970s wild prints, jacquard and lace became the height of fashion. Identifying a new gap in the market, we launched That Shirt by Double TWO, a young fashion product with a slim fitted body and two removable darts on the back. In 1968 we acquired Wm Sugden & Sons Limited, a large clothing manufacturer from Barnsley, South Yorkshire, who had historically been a key supplier of work wear and jeans. This took us into a whole new area of the clothing market. Over time, our successful polyester/cotton fabric was incorporated into the workwear range and proved an instant success with consumers. The jeans were made of strong blue denim and were sold under the brand name Jet, available in a number of styles and sizes. The power of our existing brand and reputation, along with new TV advertising campaigns helped to develop the Jet brand into another successful division of our business. With the ongoing success of the core Double TWO products along with an expanding workwear range and jeans division, we acquired L J & M Refson Limited, a women’s workwear manufacturer from Sunderland. 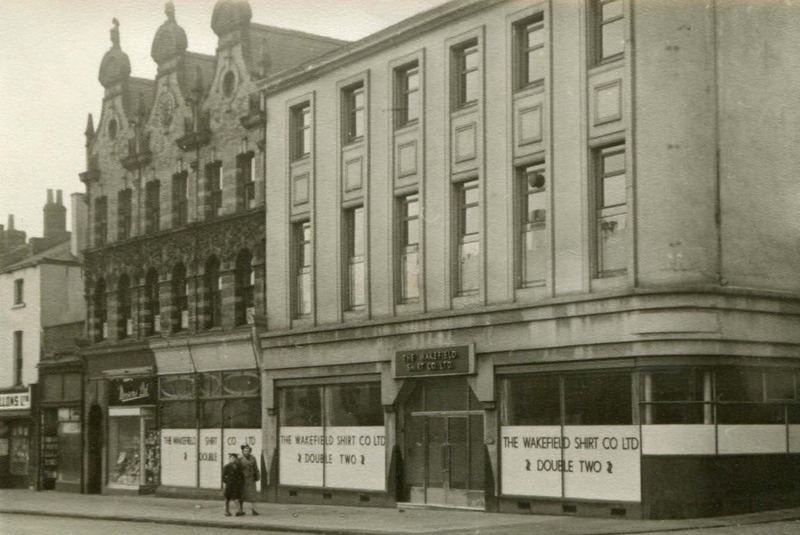 By the end of the 1980s a group holding company was formed called ‘The Wakefield Shirt Company’, owning Double TWO Ltd, Wm Sugden & Sons Ltd and L J & M Refson Ltd along with a number of other smaller businesses acquired over the years. As a group of companies we were now employing over 1,500 people across six factories and selling over 3,000,000 shirts per year in over 40 countries. To this day Double TWO continues to produce quality men’s and women’s shirts as well as formal and casual wear. Wm Sugdens continues as the corporate arm of the business, producing quality career and workwear uniforms. By 1993 the independent clothing shop and even the smaller department store groups that had formed the bulk of our customer base, had started to decline under the onslaught of ‘own label chains’ such as Next, Marks & Spencer and The Arcadia Group. In response Isaak and Richard Donner planned to launch their own retail chain. Earlier experiments on the High Street had proved unprofitable, but a highly successful American retail concept was just getting started in the UK. The success of the Freeport ‘Brands For Less’ concept in the USA led us to join Sean Collidge, in launching the innovation in the UK. We opened stores at all 6 of his ‘Freeport’ sites. Along with our own products, we added suitable concession brands and soon developed our retail footprint to 23 stores nationwide, supported by a large number of concessions in mill shops and department stores. In 1994, we were also approached by David Gummery and Chris Lockwood with the idea of developing mini clothing department stores, on an outlet basis but not necessarily on outlet sites. With garden centres and entertainment parks proving to be the most robust locations, ‘Leading Labels Limited’ was formed in partnership with ‘The Wakefield Shirt Company’ with Double TWO shirts becoming a key product. In 1995, Richard Donner’s son, John Donner joined, his father and grandfather in the 3rd generation family business. Isaak Donner died in 2000 but to this day Richard and John continue to run the company, making Double TWO one of the very few original family run branded clothing companies in the world. Since joining the business, John Donner has been instrumental in driving new brands to enter the company into new areas of the clothing market including Bar Harbour - leisure and casual wear for a mature consumer, Old Salt - a fashion lead proposition for a younger consumer and Paradigm - a 100% cotton fabric with excellent non-iron, wrinkle free properties. 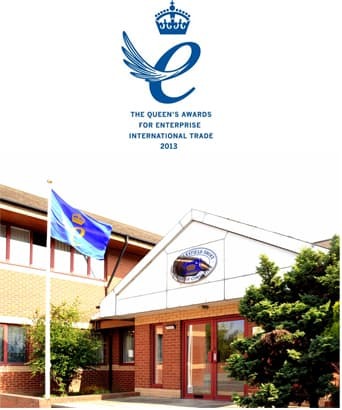 “We have received many awards over the years but The Queen’s Award is our most prestigious one and I thank all of our staff for their hard work and determination”.